Eva Marie Cassidy was an American vocalist known for her interpretations of jazz, blues, folk, gospel, country and pop classics. Until the years following her death, Eva Cassidy, whose vocal ability is often likened to that of Aretha Franklin, remained relatively unknown outside of Washington, D.C. But thanks to supportive fans and members of the local music community, Cassidy's voice has reached thousands of new listeners in the years since she succumbed to cancer in 1996, spawning what John Blake of the Atlanta Journal-Constitution called "one of the most improbable success stories in the history of popular music." Her album Songbird, released in 1998, earned platinum status in Great Britain and reached the top position on Billboard's pop album chart, while National Public Radio, People magazine, and the television show Nightline ran feature stories on the singer. Furthermore, a diverse list of artists including Sting, Paul McCartney, Roberta Flack, and Shirley Horn have praised her talent. Musicians admire Cassidy's perfect pitch, her ability to perform a variety of musical styles and genres, and her skillful phrasing. Fans and critics alike appreciate her natural, unadorned style, so different from the slick, consumer-targeted pop music dominating radio airwaves. 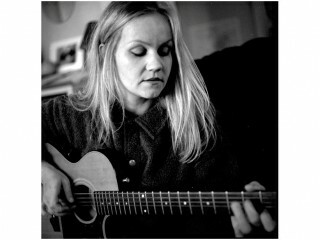 Eva Cassidy, one of four children, was born into a creative family. Her father, Hugh Cassidy, taught special education at a public school in Upper Marlboro. He was also a sculptor, cellist, and bassist who played music professionally on the weekends. Her mother, Barbara, who met Cassidy's father in 1960 in Germany, came from a talented family of artisans and decorators. At around age two, Cassidy started to show a talent for artistic expression through her drawing. When she was nine years old, the family moved to a secluded neighborhood in Bowie, Maryland, where Cassidy's father taught his children to identify flowers and trees. Meanwhile, her mother took a job at a nursery in nearby Beltsville and continued to raise their children. Around the same time, Cassidy, who by now could skillfully sketch faces, began to take music seriously as well, practicing guitar and singing for hours each day. Her father, providing Cassidy with a nylon-stringed Harmony guitar, had taught her basic guitar techniques and introduced her to folk music. The house was always full of song, as the family either listened to records by Bob Dylan, Buffy St. Marie, Josh White, and Pete Seeger or made their own music combining four-part vocal harmony with their father's bass, Cassidy's guitar, and her brother Dan's violin. Eventually, Eva and Danny Cassidy, as part of a country band, played weddings at Wild World, an old amusement park near their home. Later becoming a successful musician in his own right, Dan Cassidy contributed to his sister's recordings in the mid-1990s. He resides in Iceland and performs throughout Europe. Despite what seems like a peaceful and happy early childhood, Cassidy faced feelings of alienation as an adolescent. Unlike many of her peers, who were interested in clothes, flirting, and playing sports, Cassidy had no desire to try to "fit in." And the racial discrimination displayed by many white schoolmates after mandatory busing began in Prince George's County, Maryland, further separated Cassidy--who disagreed with racist attitudes--from her peers. Her grades consequently suffered, and she faced bouts of anxiety and depression. She argued with her father about her reluctance to complete household chores or to pay more attention to her schoolwork. Rather than rebel against her father's wishes, Cassidy ultimately adopted his high standards and made them her own. During these difficult years, Cassidy found solace in art and music, often riding her bicycle on weekends from Old Town Alexandria to museums in Washington, D.C., to study the works of great painters such as Jan Vermeer and Vincent Van Gogh. After completing high school in 1981, she enrolled in art classes at Prince George's Community College. She was accepted at the California Institute of Arts, but the tuition costs proved too high. She abandoned her studies at the community college in 1982 and took a job at the nursery where her mother worked. She continued to sing and play guitar occasionally with various local bands. Friends and family describe Cassidy as a complex person. She was sensitive to criticism, yet she had a stubborn side, making her unyielding when it came to her values and principles. Cassidy took her art projects--painting, sculpting, drawing, designing jewelry, and decorating furniture--seriously, and she enjoyed nature, hiking, bicycling, and playing guitar and singing as hobbies. Painfully shy and self-conscious, she never considered earning a living as a professional artist or musician. Instead, she was content with a modest life: exploring the natural world, playing and singing music, and spending time with family and a few close friends. Cassidy, who at most only wanted to sing backup for other artists, often worried that financial success would taint her integrity as an artist. Friends and family describe her as a person who placed little value on material wealth; she did not even open her first checking account until she was in her late 20s. "She just wanted to make enough money to go into the woods and go hiking whenever she wanted," her father recalled to Blake. Despite misgivings about the music business, Cassidy seemed destined to earn recognition. In 1986, she entered a Maryland recording studio operated by bassist Chris Biondo to record a demo with a high school friend's alternative rock band. Biondo was immediately taken by Cassidy's voice, so loud that it almost broke his sound equipment. "But the thing that blew me away wasn't her lead vocals," Biondo told Jefferson Morley of the Washington Post. "It was her harmonies. She did these really weird, neat harmonies right on the spot, without practicing them or anything. It was amazing." After a few sessions, Biondo talked Cassidy into making her own demo tape. The two dated from 1989 until 1991, and even after the relationship ended, the friendship continued. Biondo, along with local booking agent Al Dale, had encouraged her to form the Eva Cassidy Band in 1990. At first, Cassidy was a reluctant performer who avoided making eye contact with the audience, but she gradually opened up after realizing how much people admired her music. She appeared regularly at Washington-area clubs such as the Blues Alley, the Wharf, the Birchmere, 219, and Fleetwoods, building a strong local following. Then, in the spring of 1991, Biondo began working with Chuck Brown and his group, the Soul Searchers, and introduced the underground R&B star to Cassidy's soulful voice on tape. Upon seeing her in person, Brown was shocked to see that she was a petite, white female rather than a black woman. The ultimate result of the meeting was an album of duets and ballads entitled The Other Side, first released in November of 1992. "As she sang," commented Brown, as quoted in People magazine, "you could hear Ella Fitzgerald, Billie Holliday, and even Janet Jackson." Subsequently, Biondo and Dale began shopping Cassidy's music to various record labels, but her repertoire--an eclectic mix of jazz, blues, folk, standards, gospel, and pop--scared off executives, who feared it would be difficult to market her. Cassidy and her supporters decided to self-produce an independent album, Live at Blues Alley, recorded live in January of 1996 and released that July. The album received rave reviews by local critics and went on to become one of the best-selling records in the Washington area that year. Around the time the album was released, Cassidy developed a pain in her hip that became so severe that she sought help at Johns Hopkins Hospital in Baltimore, Maryland. Just three years prior, in 1993, physicians removed a dark, cancerous mole from Cassidy's back and assured her that they had caught the disease in its early stages. Unfortunately, the cancer had returned. She died just four months later, on November 2, 1996, of melanoma. Two months preceding her death, in September of 1996, fans organized a tribute concert at a club called the Bayou, where Cassidy--physically drained from a recent transfusion and wearing a scarf to conceal baldness brought on by chemotherapy--performed a rendition of "What a Wonderful World" that brought the audience to tears. Because of the efforts of Washington-area folk singer Grace Griffith, who sent a letter and tape to Bill Straw, founder of the Los Angeles-based independent label Blix Street, Cassidy was able before her death to sign a contract allowing the release of Songbird, a compilation of local releases featuring covers of songs both standard ("Autumn Leaves" and "Over the Rainbow") and contemporary (Sting's "Fields of Gold"). Radio play in Great Britain, followed by critical praise in the United States, led to thousands of new Eva Cassidy fans. After her death, Cassidy's parents signed a contract for the release of three more albums: Eva by Heart, released in 1998, Time After Time, released in 2000, and No Boundaries, a collection of the work she did as a session vocalist, also released in 2000. In May 2001, ABC's Nightline in the United States broadcast a well-received short documentary about Cassidy. Over the weekend, all five of Cassidy's albums occupied Amazon.com's best sellers list top spots. The Nightline episode has since been rebroadcast three times due to popular demand.Producer Leroy Sievers has said that it is "probably the most popular Nightline ever". In December, a nine-minute segment on NPR resulted in a similar sales surge, with five of the top seven spots going to Cassidy. A rebroadcast of the Tonight with Trevor McDonald feature on Cassidy in Britain also bumped up sales. -(With Chuck Brown) The Other Side , self-released, 1992; reissued, Liaison, 1995. -Live at Blues Alley , self-released, 1996; reissued, Blix Street, 1997. -Songbird , Blix Street, 1998. -Eva by Heart , Blix Street, 1998. -Time After Time , Blix Street, 2000. -No Boundaries , Renata, 2000. View the full website biography of Eva Cassidy.